Choose to visit the local historical tourist attractions in Stratford upon Avon , tour along the river or visit nearby local towns and villages. If you plan to visit the Shakespeare's Birthplace! We have teamed up with the Shakespeare Birthplace trust to offer a 30% discount on a 5 house entry ticket. 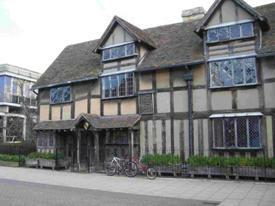 Click onto the Shakespeare Houses cycle route link for more details of cycle route around the Shakespeare properties. Whatever your cycle hire plans, when you hire a bike we can also help you plan your visit and provide you with maps and information to help you along your way.